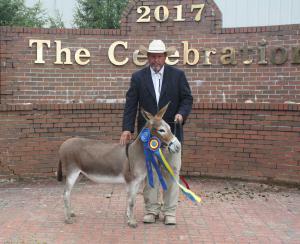 Results: The 2017 Great Celebration Mule and Donkey Show was the NMDA National Show for 2017. And, what can I say. A different judge, a different day. They results from this show to the ADA Music City show were like night and day. 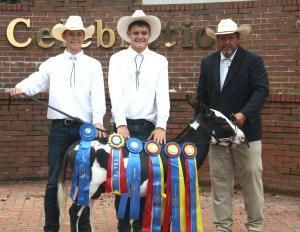 We always enjoy The Celebration and the Shelbyville, Tennessee, area. We were able to explore a little more this year. We went to The Bell Buckle Café, the Bedford Tack Store (huge! ), Granny's Fishes House (excellent), and the Midway Diner (it's down-home, now). We then stopped at The Whistle Stop (oh my, it was delicious) in Glendale, Kentucky, on the way home. Steve & I both gained 3 pounds. 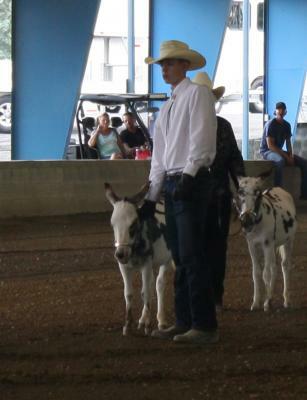 Again, a big thank you to Kameron and Kyle for helping us show the donkeys and for everything else you did. 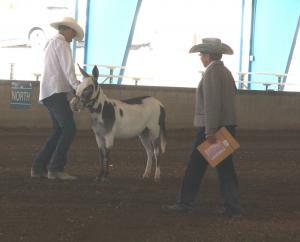 Also, we thank Jeff and Sheri Clark for coming all the way to Shelbyville to watch us show. What a great time we had!